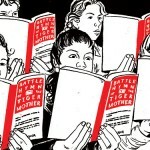 Speaking of NYC, Po Bronson has written a follow-up in NY Magazine to Amy Chua’s much-debated memoir Battle Hymn of the Tiger Mother. Let’s face it, the public has vehemently demonized Chua. She won’t be getting nominated for mother of the year award any time soon. Ironically, given the public’s dislike, the book has been topping the sales charts. If people hate Chua so much, why then are they buying her book? Now that some of the storm has died down, I appreciate the different perspective Bronson offers. I have yet to sign in Amazon to 1-click order the book (it’s sitting in my saved items), but I’m glad for Amy Chua. Wealth is sweet revenge.